We have full range portable cabins - portable offices of high-quality. We make self-contained portable cabins to buy. 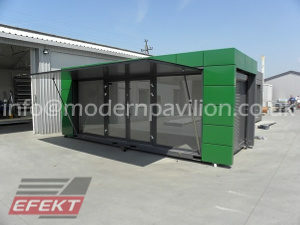 Portable buildings are stand-alone buildings that are manufactured in the local factory. They are delivered in one piece. Often portable buildings are ready to use within a day. Our customer service department helps you from project phase to assembly. 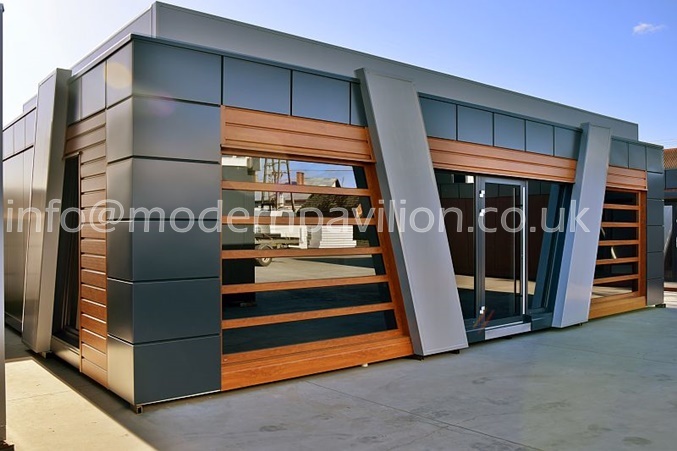 One of the most popular products from our offer are the prefabricated office buildings. They are really helpful in developing a company, because they allow you to change your seat quickly and easily. Therefore, if you come up with a new business strategy, considering moving to another area, you will be able to take your facility with you. They will have electricity and contain toilets for your employees. What is more, if your enterprise grows successfully and you need to enlarge your office, you will be able to have it done without any problems. Our security cabins are excellent for every place that needs to be constantly guarded. They are often placed in front of car parks, hospitals, modern housing estates and not only. In case there was a need of transporting them to a different location, there is no need to dismantle the framework. A social room and sanitary objects can be installed without any difficulty, so that a security cabin could be a good workplace for a guard. As it is prefabricated, our client receives a finished product and may start using it immediately. 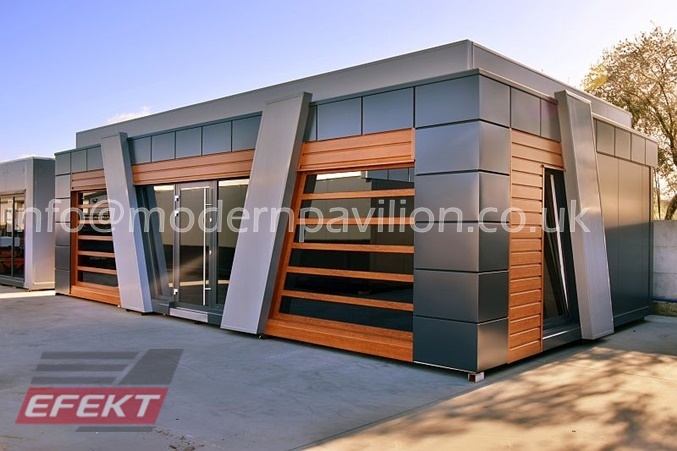 We specialise in modular manufacturing buildings, which are perfect for companies of all sizes: small, medium and huge ones. We work in a very flexible way, so as to meet all your individual needs and preferences. 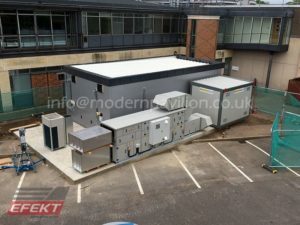 It is possible to order, for example, portable offices, garages, restaurants, shops, kiosks, gatehouses, carwash facilities, bus stops, backs for petrol stations, workshops and many more. They can take various shapes and sizes, so that they could be ideally adapted for their purposes. Moreover, if it turns out that a cabin needs expansion, it can be done amazingly easily. 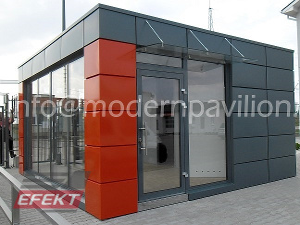 We have been producing portable prefabricated buildings for many years already, therefore we are immensely experienced now and we know which solution is the best in a particular case. We apply light construction technology that is based on using roofs and walls made of sandwich panels (including polyurethane core or Styrofoam), as well as light steel framework. No footing is necessary, so our facilities are not assigned to one location only. Sometimes there is a need to move to another place and thanks to our portable buildings, it will cause you no trouble. 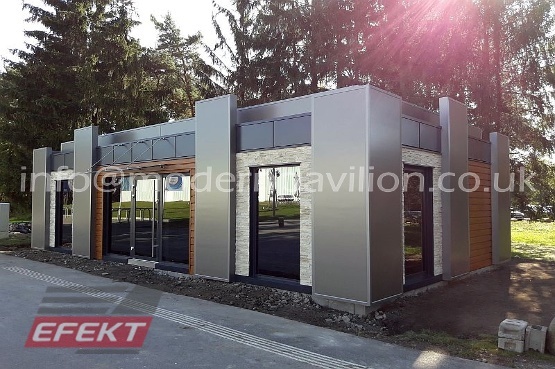 Every single pavilion we manufacture reflects our client’s needs, features unique appearance, interesting coloring of decorations and finishing all contribute to inimitable facility, which will attract attention of potential customers and business partners. 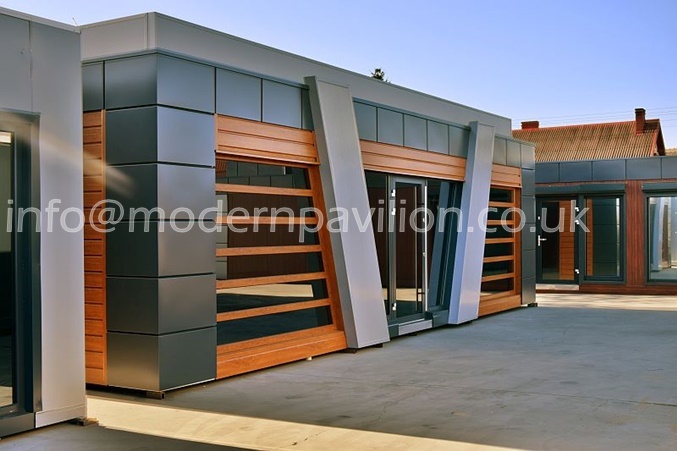 Our company is a portable buildings manufacturer with huge experience and a wide range of products to offer. Thanks to this technology, you do not have to choose one definite place for your business, but you can comfortably move your seat if necessary. Our pavilions are not fixed the ground permanently - instead of that, they are constructed in a modular way, what makes them amazingly easy to assemble and disassemble. They are stable at the same time, as they consist of cold-bended steel profiles and thick sandwich wall panels. As a renowned portable cabin manufacturer, we know how to combine high quality and reasonable prices, thus our offer can be adapted to the possibilities of small companies as well. 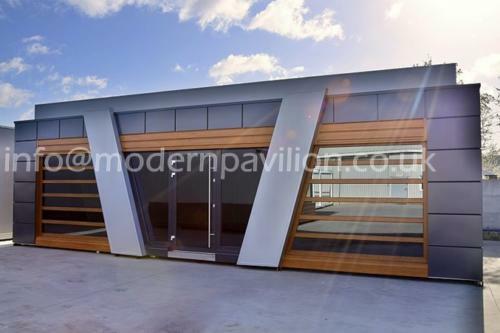 One of the most important advantages of our pavilions is the fact that they can be easily customised. You can choose a design, size, colour, etc., so that the facility could reflect your personal preferences and the needs of your business. It can be transformed into a bar, office, kiosk, shop and not only. Apart from prefabricated commercial buildings, we also have gatehouses and garages, for instance. Thanks to that, if you move somewhere else, you can take the facility with you without much effort. We are sure that our products will meet all of your demands. Contact us now!